It has been more than fifty years since John Waters filmed his first short on the roof of his parents’ Baltimore home. Over the following decades, Waters has developed a reputation as an uncompromising cultural force not only in cinema, but also in visual art, writing, and performance. This major retrospective examines the artist’s influential career through more than 160 photographs, sculptures, soundworks, and videos he has made since the early 1990s. These works deploy Waters’s renegade humor to reveal the ways that mass media and celebrity embody cultural attitudes, moral codes, and shared tragedy. 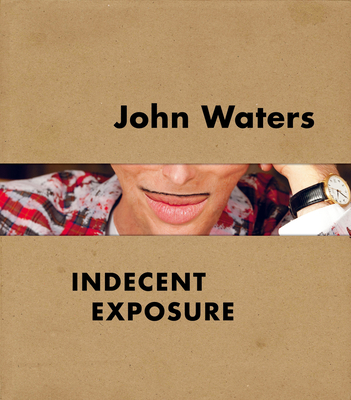 Waters has broadened our understanding of American individualism, particularly as it relates to queer identity, racial equality, and freedom of expression. In bringing “bad taste” to the walls of galleries and museums, he tugs at the curtain of exclusivity that can divide art from human experience. Waters freely manipulates an image bank of less-than-sacred, low-brow references—Elizabeth Taylor’s hairstyles, his own self-portraits, and pictures of individuals brought into the limelight through his films, including his counterculture muse Divine—to entice viewers to engage with his astute and provocative observations about society. Published in association with the Baltimore Museum of Art. Kristen Hileman is the Senior Curator and Department Head of Contemporary Art at The Baltimore Museum of Art. Over two decades of curating, she has worked with such leading international artists as Cai Guo-Qiang, Njideka Akunyili Crosby, John Baldessari, Sarah Oppenheimer, and Tomás Saraceno. Her 2009 exhibition Anne Truitt: Perception and Reflection was instrumental in bringing renewed attention to Truitt’s oeuvre. She has held teaching appointments at Johns Hopkins University and George Washington University. Jonathan D. Katz is Director of the Visual Studies doctoral program at State University of New York–Buffalo. He founded and directed the Larry Kramer Initiative for Lesbian and Gay Studies at Yale University and was the founding chair of the Department of Lesbian and Gay Studies at City College of San Francisco, the first department of lesbian and gay studies in the United States. He has written extensively and organized important exhibitions exploring postwar American art, culture, and sexuality. Robert Storr has held numerous prestigious positions throughout his career as curator, critic, and painter, including Dean of the Yale University School of Art, Director of the 2007 Venice Biennale, and Senior Curator of Painting and Sculpture at the Museum of Modern Art. His writing has appeared in many magazines and journals, including Art in America, Artforum, and Frieze as well as within exhibition catalogues produced by museums around the world. A recipient of awards from the International Association of Art Critics and the Archives of American Art, among other organizations, he has been recognized by the French Ministry of Culture as an Officier des Arts et des Lettres. Photographer Wolfgang Tillmans is renowned not only for his own diverse body of work but also for his influence on younger artists. His work has been the subject of prominent solo exhibitions at international institutions and is held in museum collections worldwide. The first photographer to win the Turner Prize, Tillmans is deeply involved in the publication of artist's books and monographs, and he regularly contributes to magazines.